Write for Hubpages and earn money! Signup is free. 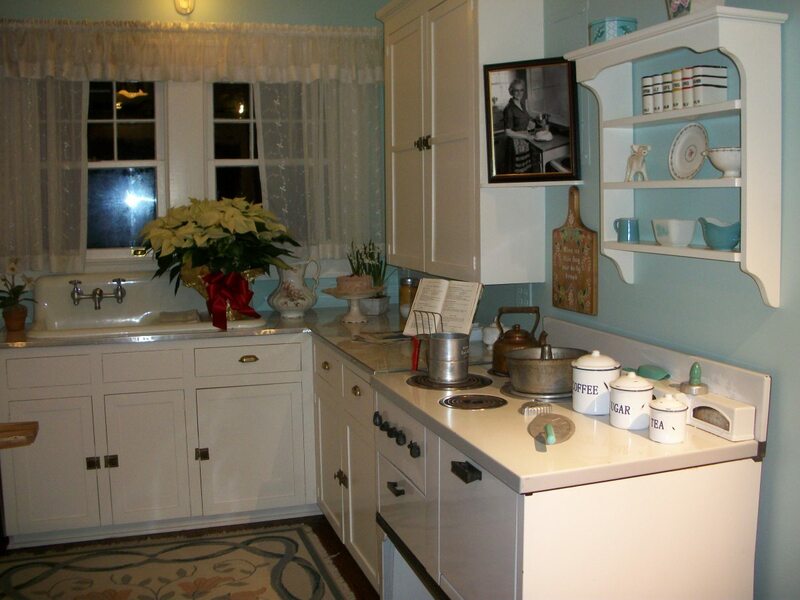 The Billy Graham Library consists of 15 exhibits, a deli shop, a gift store, a talking cow, a prayer room, and the house he grew up in which is open for touring. Once you go through the front door you will see Bessie, the famous talking cow, on your right (see video footage of Bessie below). Groups of approximately 20 people are moved through the library at a time. First your group will start with Bessie and then move to the next gallery which features a video. 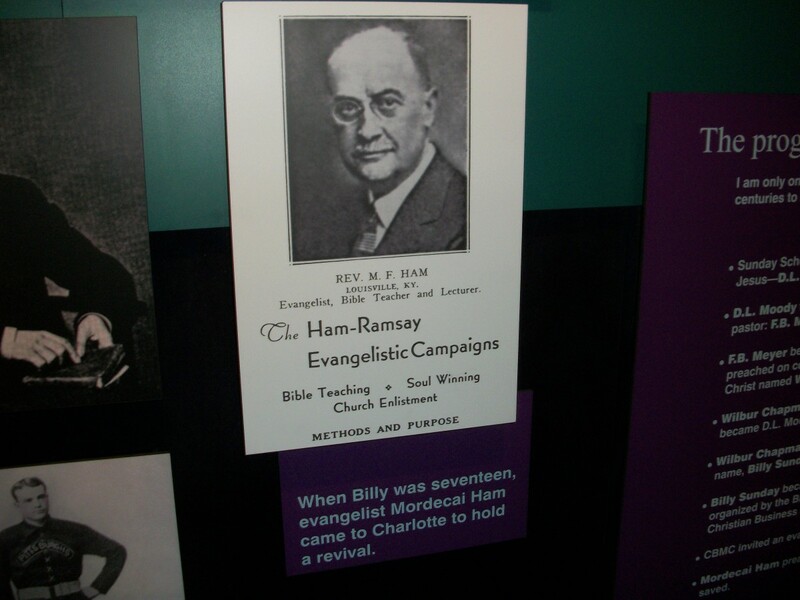 Many of the galleries have video footage of the life and preaching of Billy Graham and there is limited seating in each exhibit (that is probably why they allow groups of 20 people at a time). At the end of the exhibits, everyone gets a Decision Card to fill out and at the end of the tour, no pressure, there are counselors you can talk and pray with if you wish. Parking is $10 per car. Admission is free but donations are welcomed and boxes are located in the lobby. During the Christmas Holiday horse-drawn carriage rides are available (see video footage of the carriage rides below), and a live nativity scene is on the premises to view. 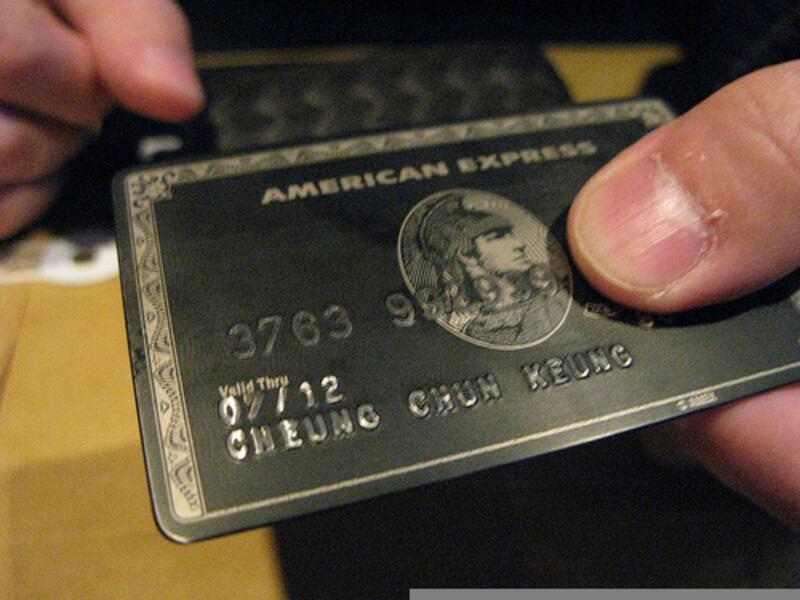 The bookstore and dairy bar accept cash, checks, and all major credit cards. 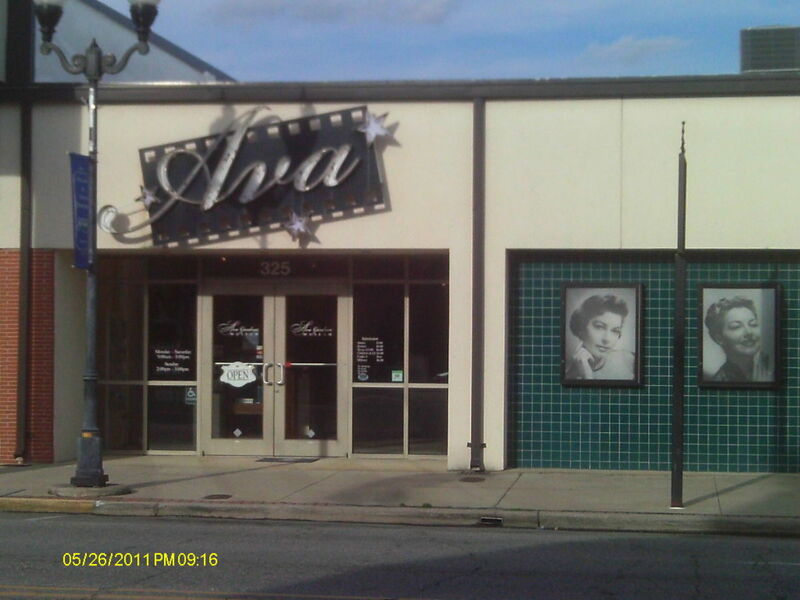 Smoking, alcoholic beverages, outside food and drink, and pets are not permitted on the property. Cameras are permitted in the exhibit areas, but please refrain from flash photography. 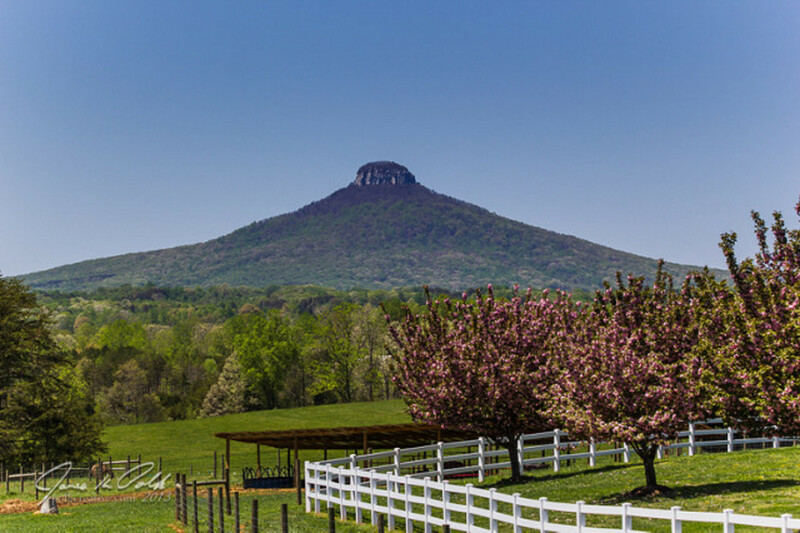 The Billy Graham Evangelistic Association Headquarters is located behind the library and a shuttle bus is available to take you there. This is the building where the administrative offices are located, and there is a large beautiful dining room located here as well. My group had a buffet Christmas dinner there and it was just fantastic food consisting of turkey and gravy, ham and gravy, stuffing, salad, green bean casserole, sweet potato casserole, brown rice pilaf, mashed potatoes and gravy. For dessert they served pecan cheesecake pie, peppermint chocolate pie, and 2 other desserts. The deli serves a selection of sandwiches, Ruth Graham’s chicken salad recipe, the Billy Frank hot dog, BBQ, fresh salads, soups, soft drinks, ice cream cones, and cookies. There is plenty of seating available if you want to stay there and have a sit down meal. During the Christmas holiday season when my group attended, the gift store was still packed at 9:00 p.m. with tourists. 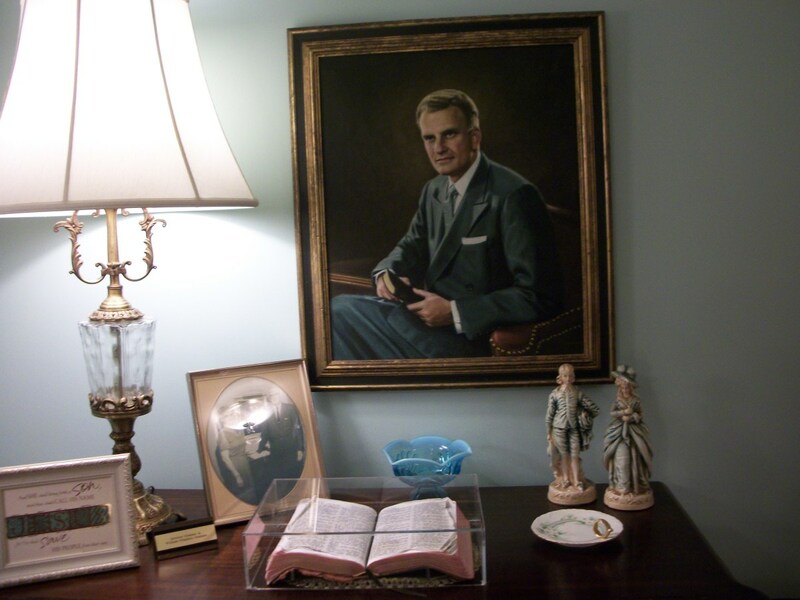 Named after Ruth Graham, Billy’s wife, this bookstore has a great selection of bibles, books by the Graham family, classic Billy Graham sermons on DVD plus a wide variety of gifts such as music, apparel, and specialty items. Billy Graham’s personal book collection lines the walls of this bookstore. Just look up toward the ceiling and you will see all the books behind the glass. 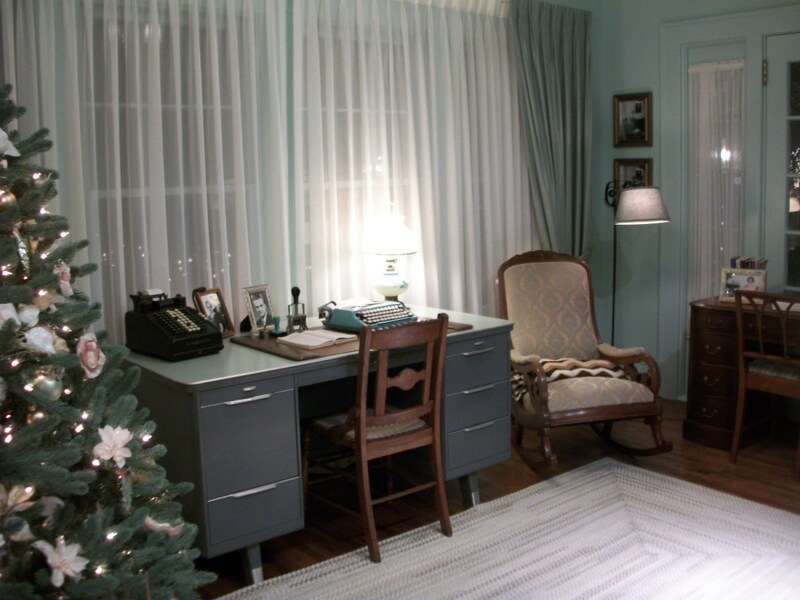 Also on display is his personal desk and chair he used throughout the years. 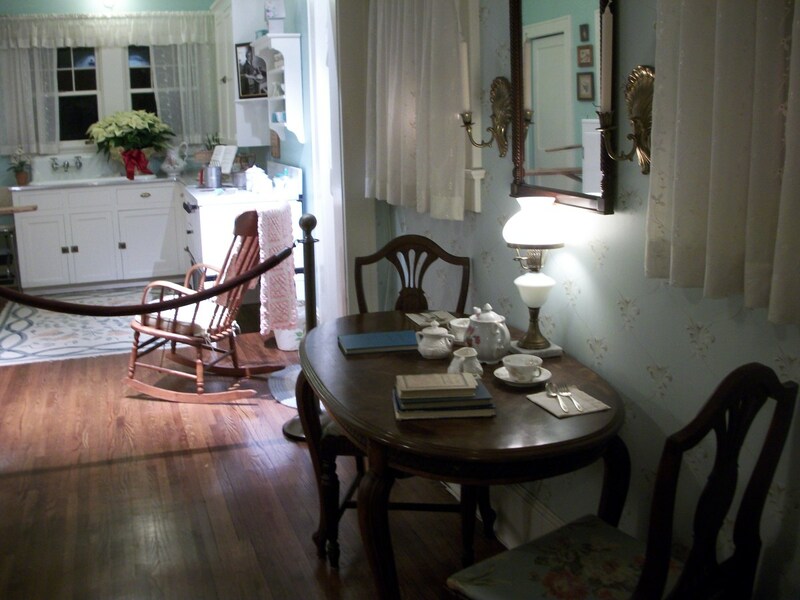 Photos of Billy Graham's childhood home. 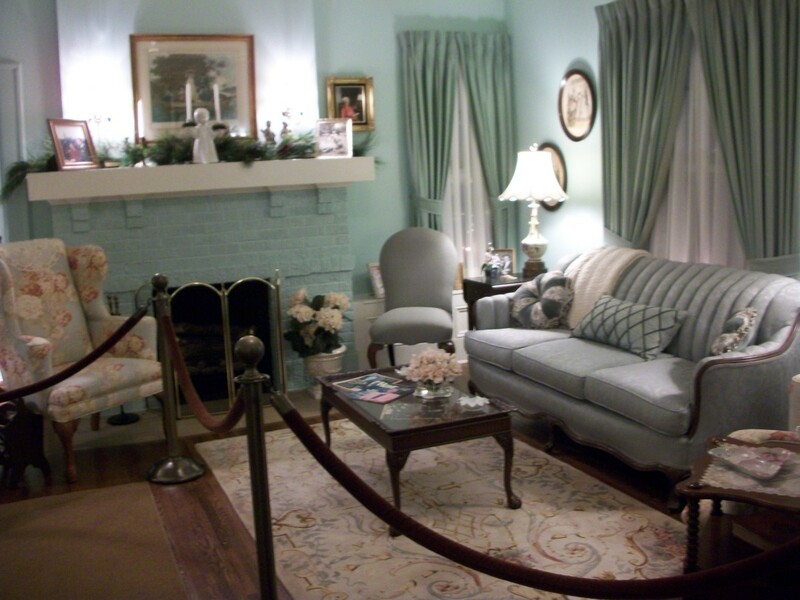 There was a big crowd in the house when I toured but fortunately I was able to get a few photos on this visit. When Billy Graham was 9 years old, his family moved into this brick colonial house which his father built in 1927. Billy lived in this house from age 9 until he went off to college. Prior to the move Billy and his family lived in a clapboard house which did not have indoor plumbing. 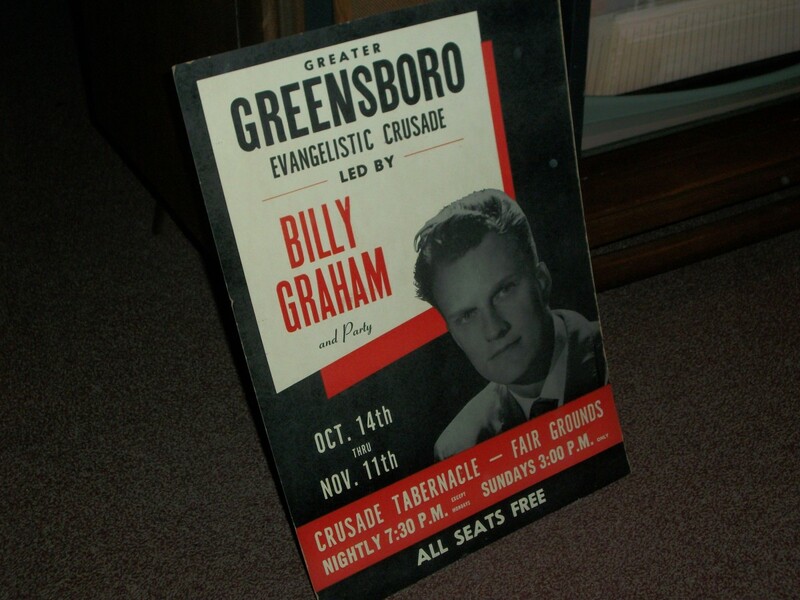 Both houses were located on their Park Road dairy farm four miles southeast of what is now The Billy Graham Library. 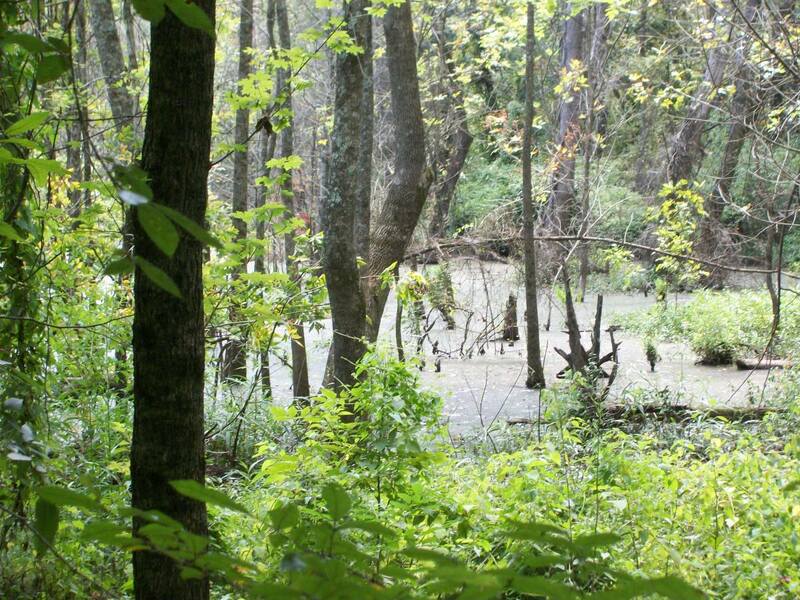 The farm was 300 acres and featured more than 70 cows. This new house had indoor plumbing and they no longer had to bath in a washtub on the back porch. Billy’s parents stayed in this house until they passed. 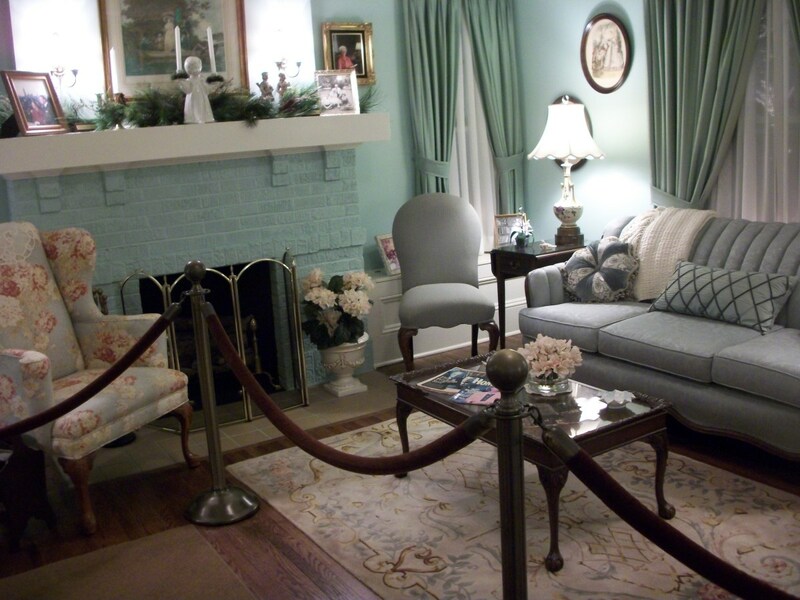 When it sold in 1984, the house was relocated to Jim Baker’s now infamous Heritage USA property in Fort Mill, SC, where it was open as a tourist attraction until 1997. 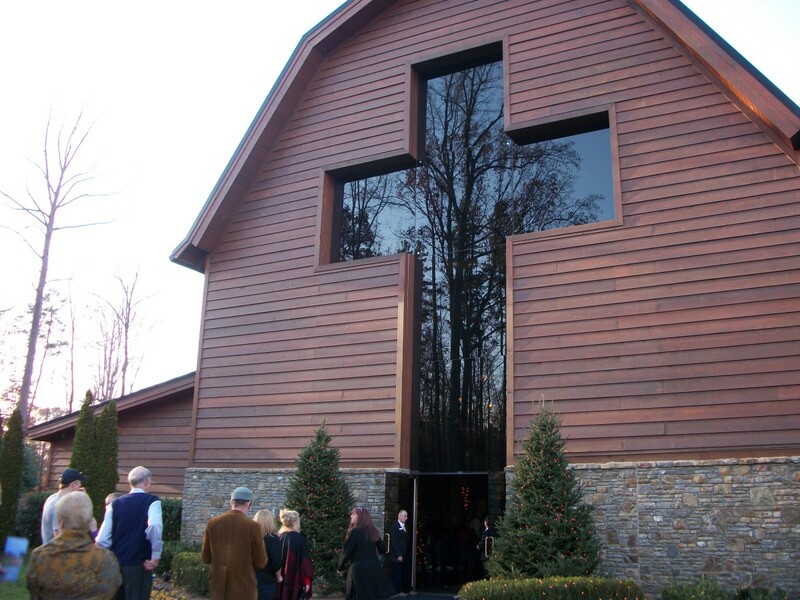 Nine years later it was moved again to its current site at The Billy Graham Library. Many of the original building materials were used in the restoration process, such as all the first-story wood flooring and several thousand bricks. 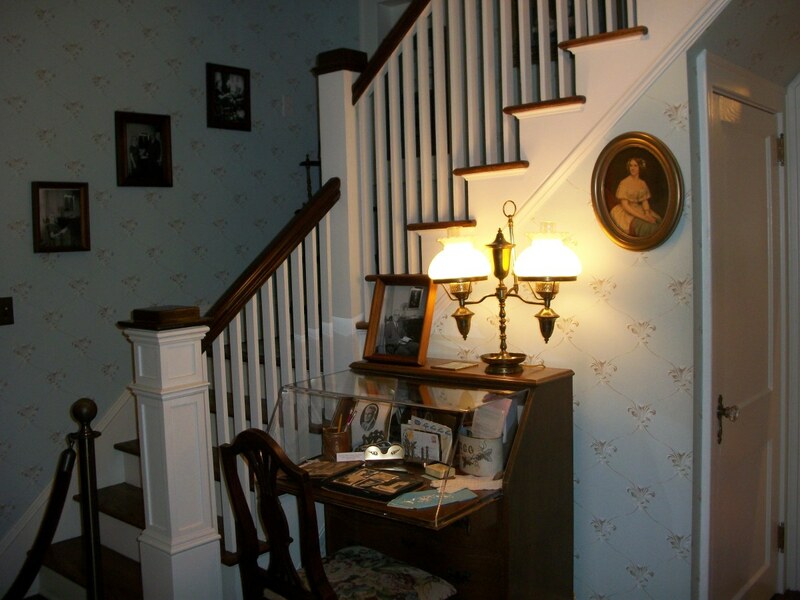 Billy’s mother lived in the house until 1981 when she passed away. 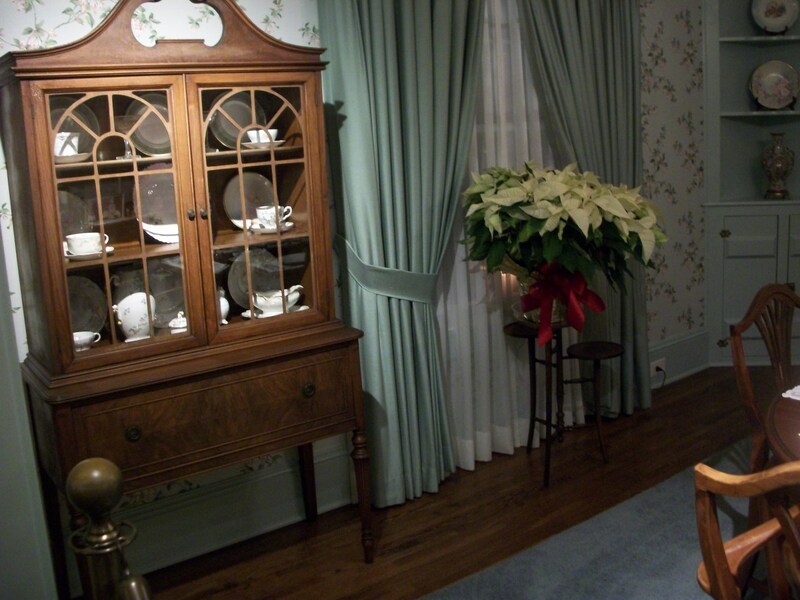 The home is currently furnished in a similar style Mother Graham enjoyed when she lived there. Living Room: coffee table, painting above mantel, blue vase, and needlepoint picture made by Mother Graham. 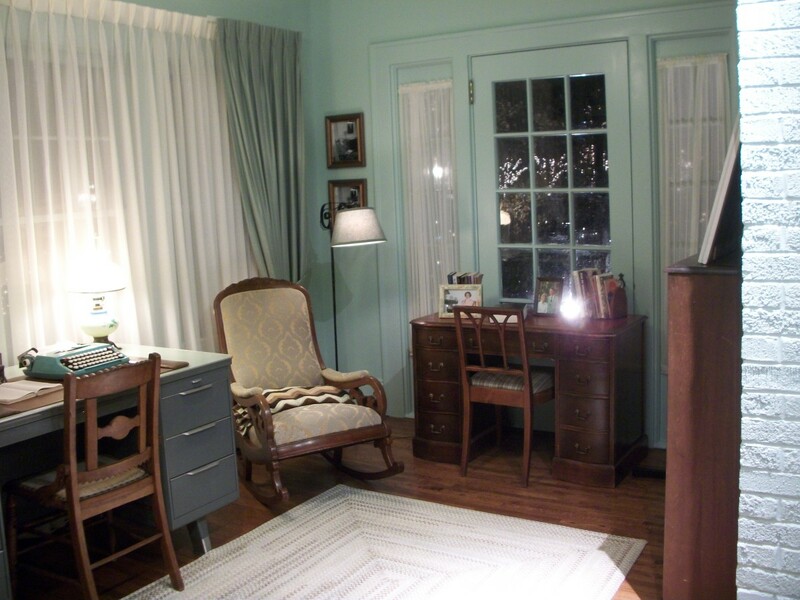 Sunroom: Graham Brothers Dairy logbook and Mother Graham’s typewriter. 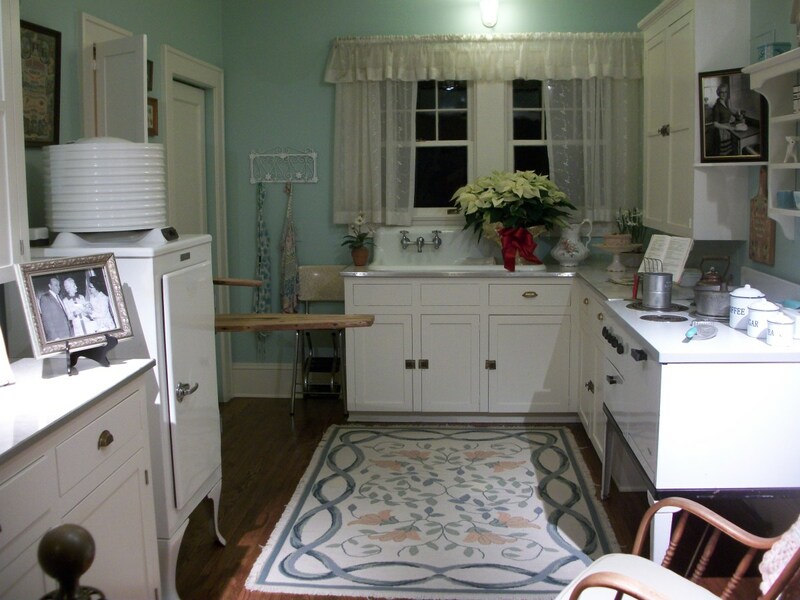 Kitchen: cabinets and silverware (featured in the stair area). 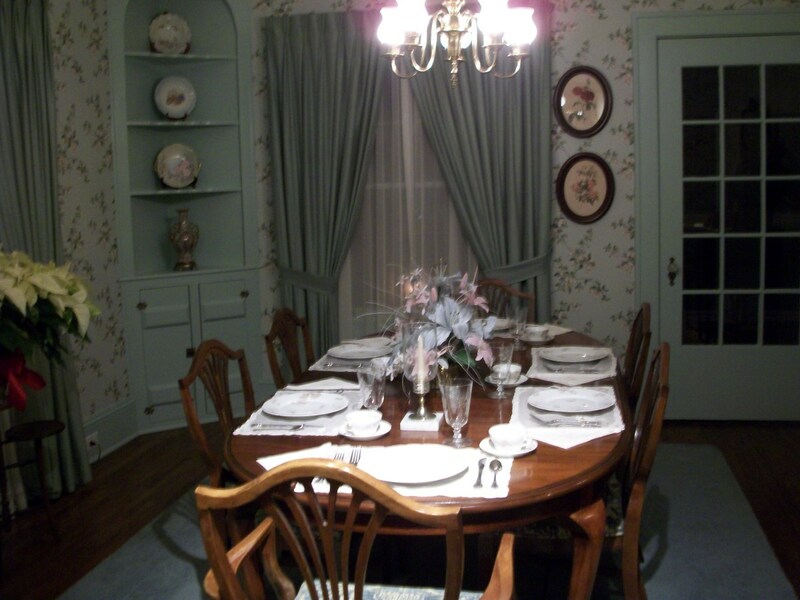 Dining Room: placemats on the table and two goblets in the China cabinet to the left. General: hardwood floors, most windows, stairwell, and family pictures. Walk down the brick walkway, which is in the shape of a cross, and you will come to this tranquil place which lies at the edge of the woods. Ruth Graham was buried here when she passed in 2007. George Beverly Shea and Cliff Barrows, who were original Crusade Team members, have asked that they be buried next to their wives in an area just a short stroll away. This was quite interesting. 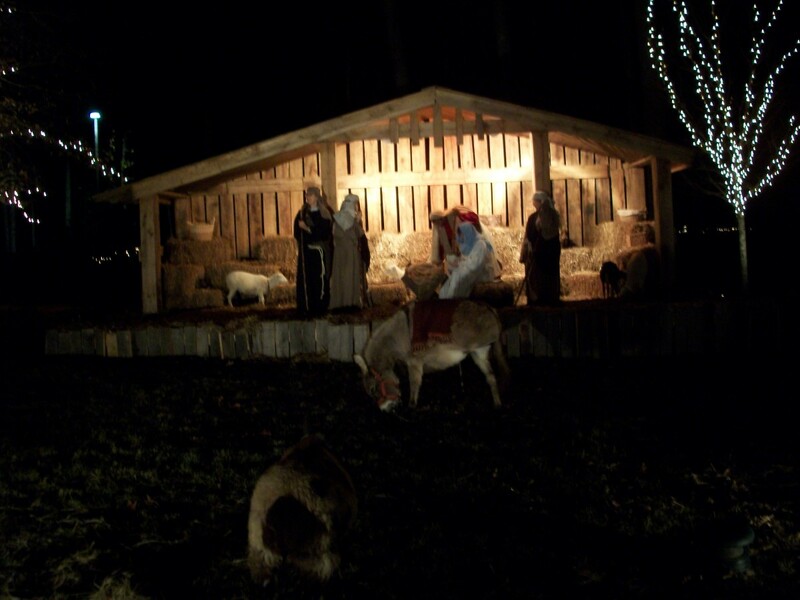 There was a real live camel, a donkey, a tiny little deer-like creature, two small oxen-like furry creatures, and a billy goat which stood well behaved next the the human wise men on the stage. I believe these animals were probably sedated because they were so well-behaved the whole time. True story: we thought maybe the donkey was a stuffed animal because it stood there so still and quiet, until it stepped forward and lifted it's tail to take a poopy. 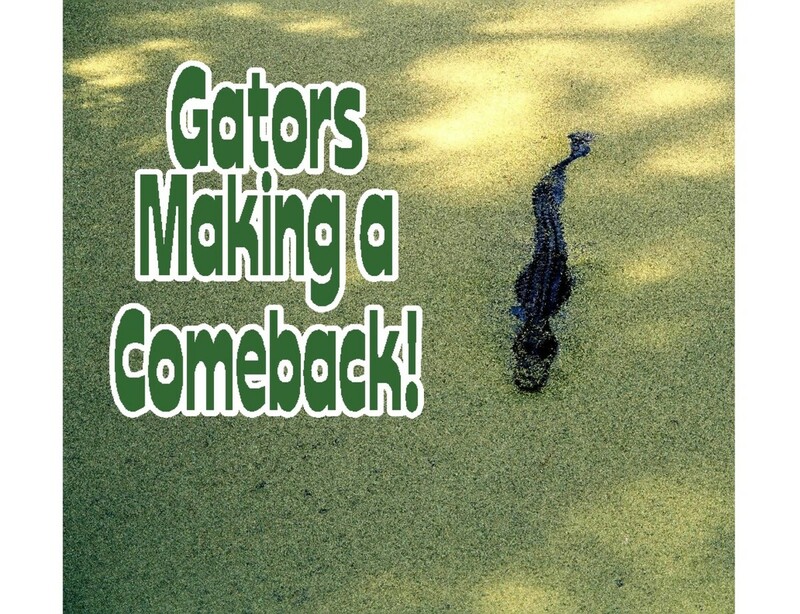 Yes, that is when we realized it was a real animal. I was able to pet one of the furry oxen like animals because it laid down next to the fence that contained the nativity scene. There was also hand sanitizer provided at the fence for anyone who was so inclined. In the video below entitled "Horse Drawn Carriage Rides" you can see in the background the homestead and also the trees decorated with Christmas lights. The horses had poopy bags attached behind them -- smart move so nobody has to clean that up! Horse Drawn Carriage Rides! What fun! The lively city of Charlotte, NC, is a perfect family vacation destination, with its parks, museums and other fun attractions. Las Vegas to Hollywood, Then To The Reagan Library - A Fun Day Trip! This certainly looks like a library with a difference. 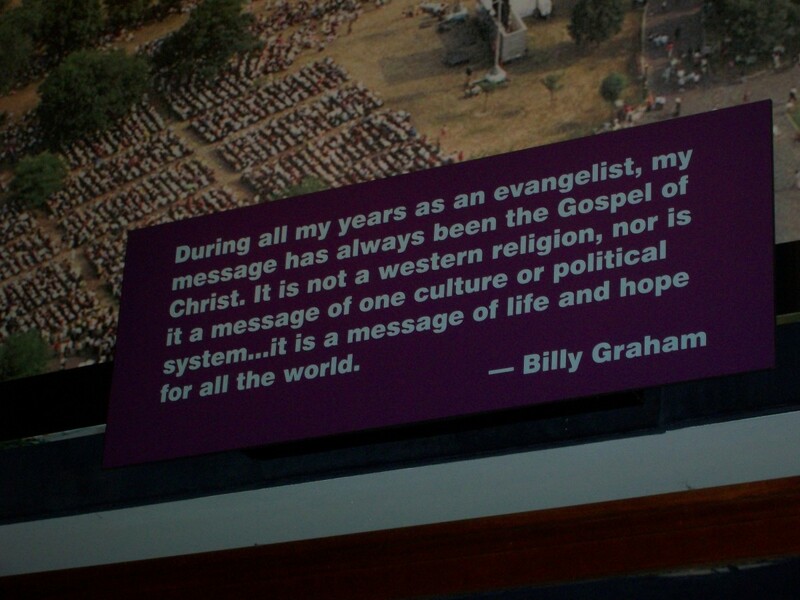 In Christian circles in the UK Billy Graham is still fondly remembered for the missions he lead here. Janellegems -thank you for your comments. I have visited TBGL on two occasions, both at Christmas time and it is very awesome indeed. It gets crowded during the holiday weekends. If you get a chance to have the buffet dinner in the main dining room, that is really incredible too. I hope you get a chance to come back to visit. Thank you for stopping by. 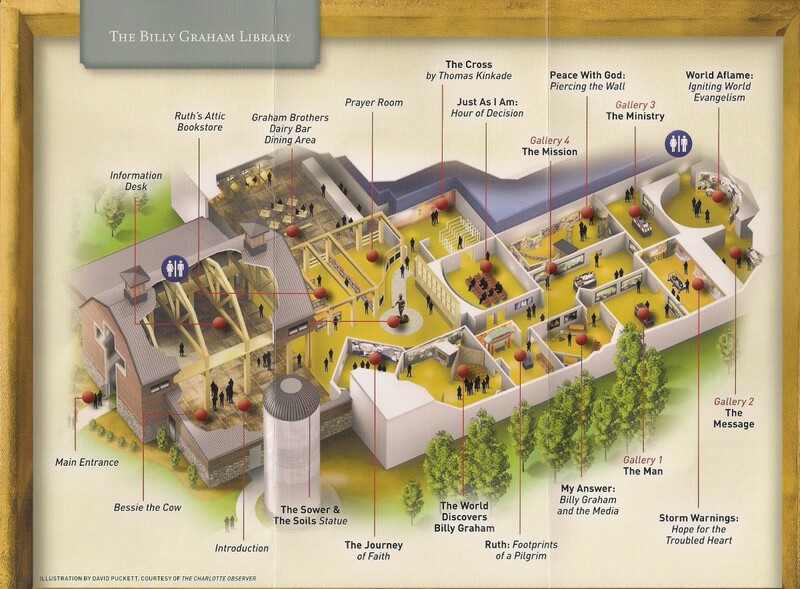 Excellent description of the Billy Graham library. This was very informative and thorough. 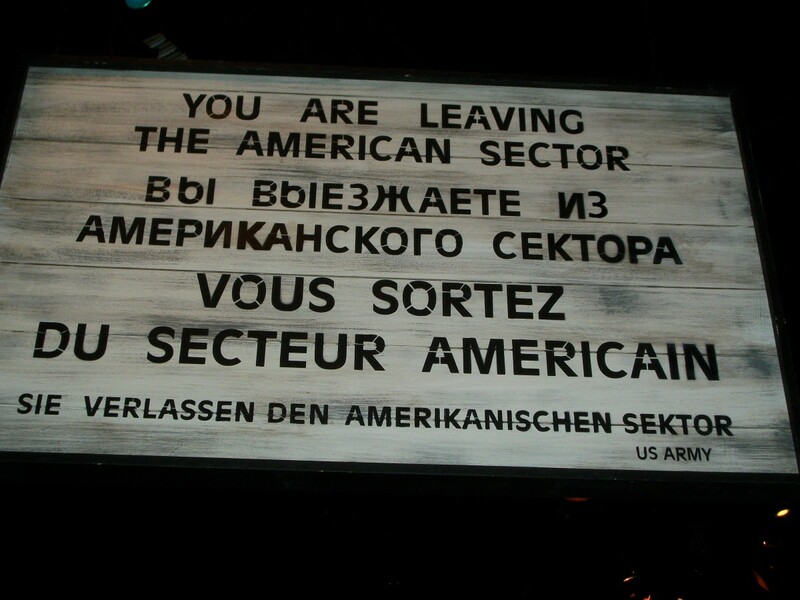 I visited there once a few years ago and really enjoyed it a lot. Hope to go back again. hello shiningirisheyes - thank you for your wonderful comments. This is a really fun place to visit, especially at Christmas time. Thanks for reading and your comments and vote. 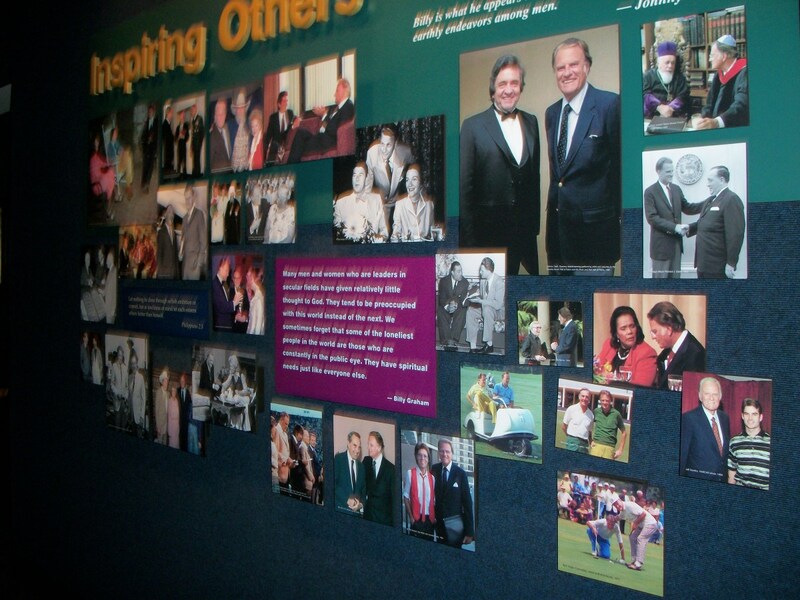 I am truly thrilled there is a wonderful museum to the great individual Billy Graham. I grew up watching him and he holds such a significant place in my heart as well as every member of my family. My Dad would have loved touring this fantastic place but I guess he got something better - to meet the man in person when he crossed over. Thanks for sharing your journey and I am voting up.